A Kawasaki ZX-10RR would probably lap a race track a fraction quicker, while Ducati’s Panigale V4 might be faster at some circuits. 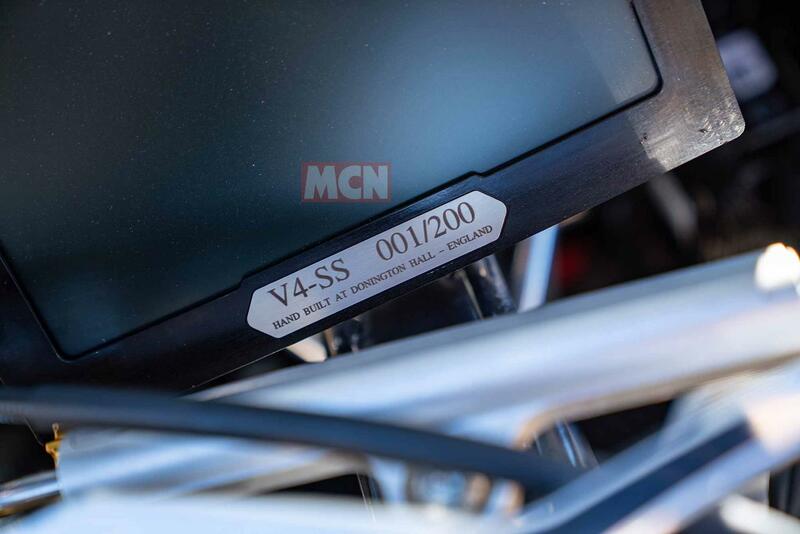 But if you’re only interested in lap times you’re missing the point of Norton’s new V4SS. 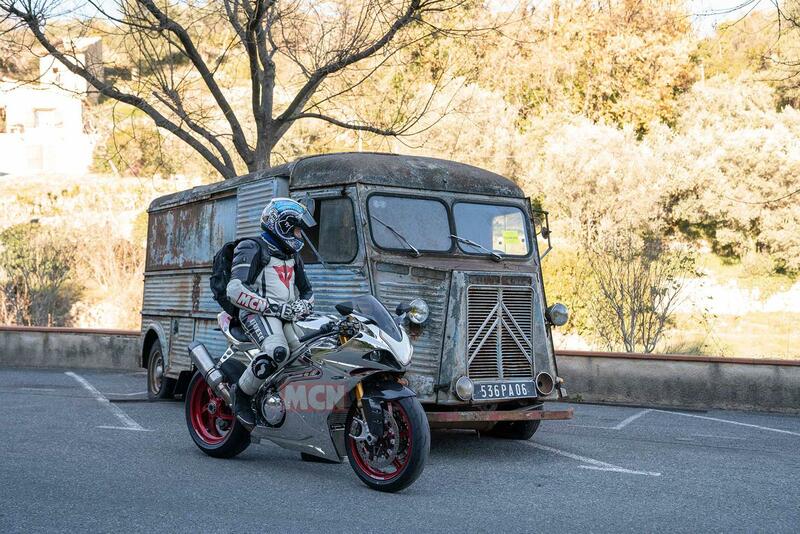 This is the machine James Bond would ride, the Aston Martin of bikes and a stunning road version of Norton’s TT racer. While the chassis has true TT credibility, the V4SS is also a well-mannered and comfortable road bike. It's fast, has masses of midrange power, sounds amazing and handles beautifully. In terms of 'feel good factor' the V4SS is one of the most rewarding bikes I’ve ever ridden. It’s not perfect. The clutch is heavy, the fuelling is a little fluffy below 2000rpm, it has that thirst for unleaded, and there’s a downshifting issue with the quick-shifter. But let’s not forget, this is bike number one, straight out of Donington Hall, and Norton’s first superbike since the F1 Rotary. I can’t see many of the privileged 200 who will own one caring too much about fuel consumption or a heavy clutch. Like me, they’ll simply love it. Look at the spec. The road bike shares the same chassis, swingarm and shock linkage as the TT racer and has similar rake, trail and wheelbase dimensions, too. The brakes may have different pads and the Öhlins suspension different springs and internals, but these and many other components, are in all other respects straight from the TT racer (although non-cornering ABS is present on the road bike). Essentially, this is a 1200cc road version of the bike McGuinness will ride at the TT in 2019. Despite its proven racing credentials, road riders haven’t been taken for granted. Three electronic riding modes come as standard, as do traction control, an up-and-down quickshifter and launch control. Away from performance, it’s generously roomy and your wrists aren’t on the floor and the pegs aren’t inches from your arse. The screen is a little small, but at fast cruising speeds it's decent enough, while even the mirrors, often an afterthought on bikes this focused, aren’t bad, even if you do have to look under rather than around your arms. 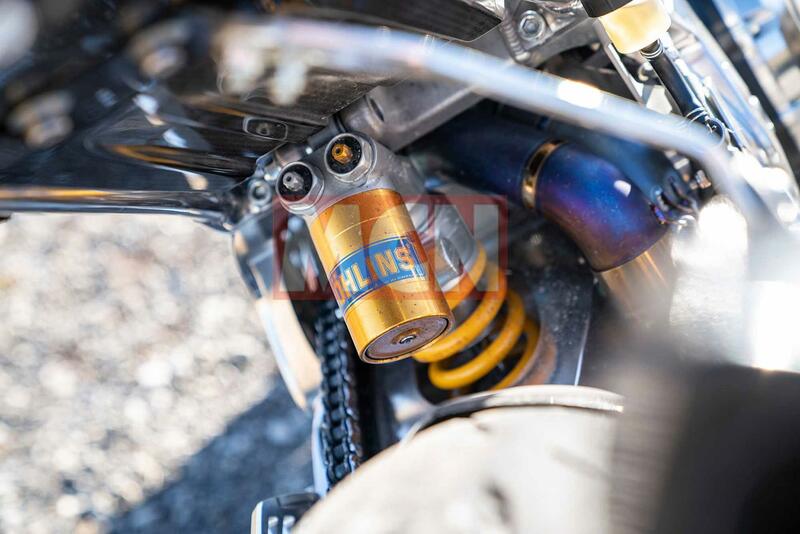 The fully- adjustable Öhlins suspension is plush but supports aggressive riding and you can feel the wide 200-section rear Dunlop GP Racer find grip and drive forwards. The Öhlins NIX 30 fully-adjustable forks are slightly firmer than the rear, but the feel is impressive. 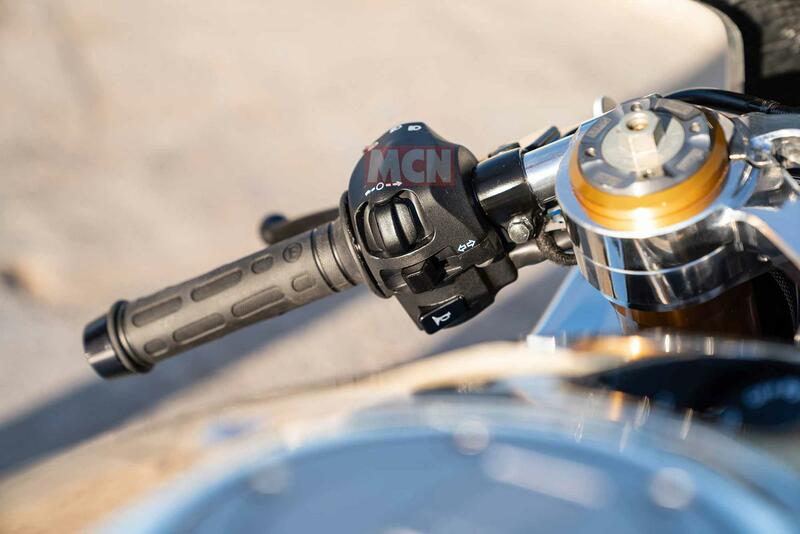 Meanwhile, the Brembo M50 monobloc calipers offer race-bike stopping power and most of the time you only need one finger to haul up the lightweight missile. Many of the 200 V4SSs to be built will remain unridden, to be enjoyed only as collectors' items, but, for me, the real beauty of a bike like this is found in its performance. After all, Norton developed the chassis for this, their first V4 road bike, by racing prototype versions on the most demanding track in the world: the Isle of Man TT course. In the process they made some very public mistakes, while some scoffed at little Norton’s lofty ambitions. Not anymore. Josh Brookes finished fifth in the Senior TT in 2018, setting a new race and lap record for Norton, and John McGuinness is eager to step onto the podium in June 2019. The first section of péage on our European jaunt gives me the opportunity to allow the V4 to bark. 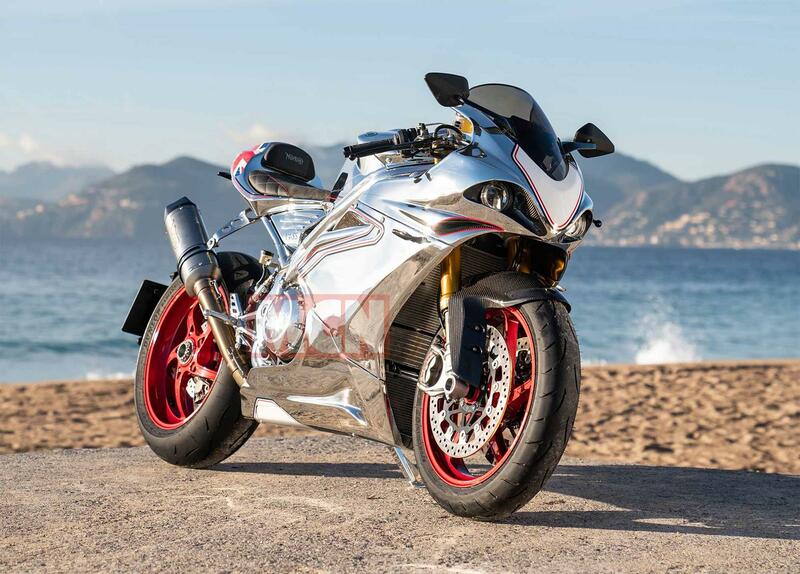 Short-shifting at only 7000rpm, it backfires between clutchless shifts and quickly propels me to illegal speeds on a huge wave of midrange torque; there’s more ftlb available at a twist of the wrist than on the Panigale, according to Norton. Put the electronics into race/track mode, double check the rear-view camera and go. There’s no need to chase the revs. Simply shortshift and ride that overfilled vat of British torque. Occasionally I let the V4 off the leash, changing gear only when the gear indicator lights start to flash, and invite all 200 horses to the party. 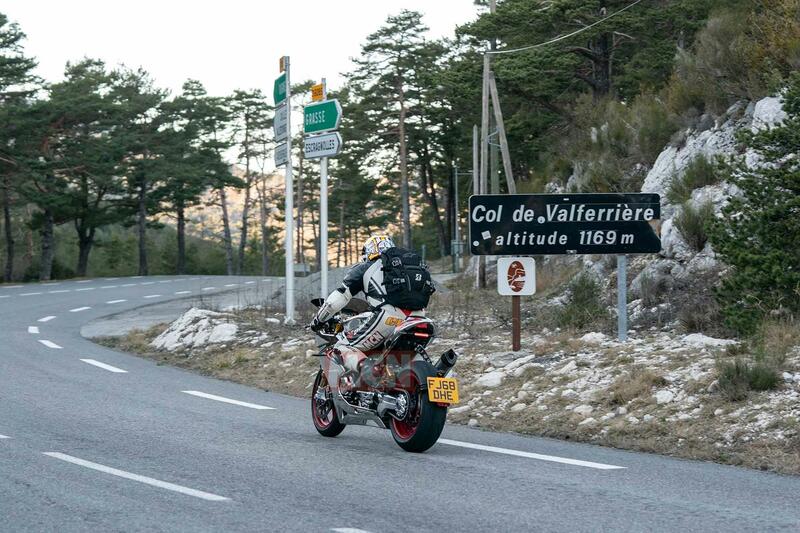 The bike remains stable, the front reassuringly planted, but it’s almost too fast for challenging road sections. It’s a thirsty bike, though, and an early fuel light momentarily cuts the enjoyment, which on reflection was probably a good thing. It might be a TT-derived bike, but this is a public road and an interjection of humdrum reality helps bring you back to your senses. With the carbon fuel tank topped up it’s back to the fun, albeit a little more sedately. At this early stage, it is hard to make any assumption about the reliability of the V4SS, however stunning build quality and attention to detail would suggest problems will be kept to a minimum. At £44,000 the V4SS is undeniably expensive, however that hasn't stopped the Donington-based firm from selling out of all 200 machines. Combining exquisite details with superb performance, this is a slice of British exotica befitting an exotic price tag. This value is likely to be retained in many machines too, due to being parked up as collectors' items, rather than used as a serious road bike. 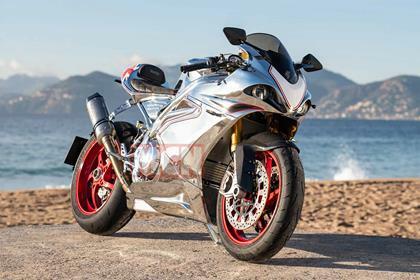 A Ducati Panigale V4 can be built up in half a day, including assembling the engine from scratch, but it takes two working days just to polish the frame on the Norton V4SS. 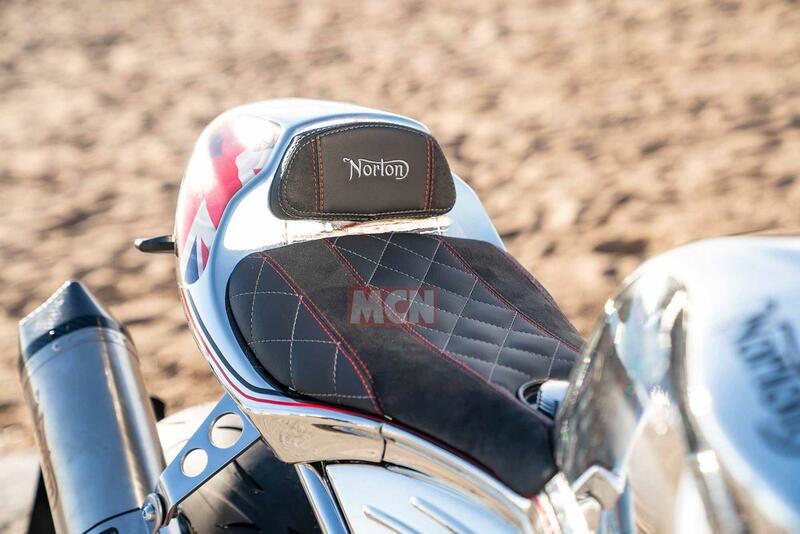 Its detailing and finish are lovely: each bolt carries the Norton logo, while the billet swingarm is hewn from a 70kg block of aluminium. There’s also keyless ignition and a 7in high-definition full-colour dash with rear-view camera. Yes, you did read that correctly: a rear-view camera. There are still conventional mirrors, but on-the-fly you can switch on the rear-view camera that transforms the dash into a mini-TV giving a clear picture of what’s behind from just above the rear tyre. Simultaneously the dash still shows, rpm and speed. 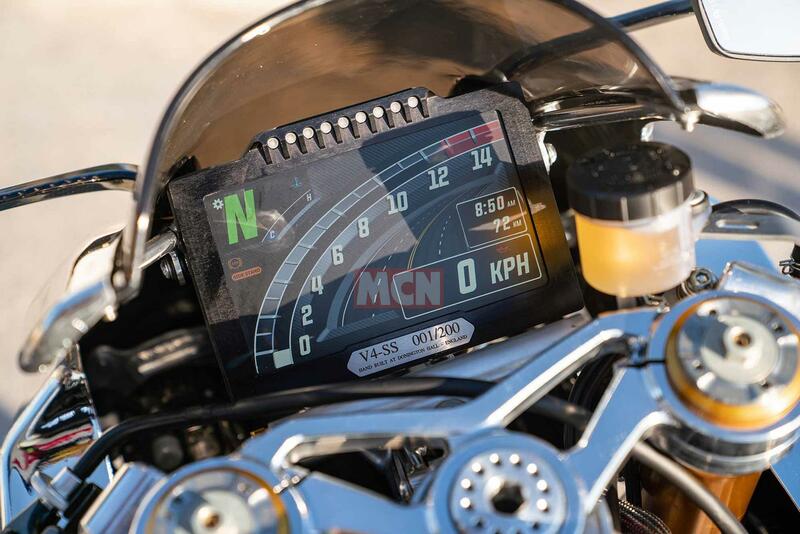 Each of the three riding modes has a specific screen display, and within each mode you can check trips, engine temperature, all the usual info and even change the language. Our bike didn’t show ambient temperature or fuel range, though. No matter where the V4SS goes, it pulls a crowd. I lost count of the number of excited people tying to take a picture on their phone while driving one-handed. The V4SS is Norton's first superbike since the F1 Rotary and has been developed in conjunction with the firm's Isle of Man TT project. Although there are obvious differences between the two, a string of top-ten finishes at the grueling road racing event demonstrates the road bike's potential. 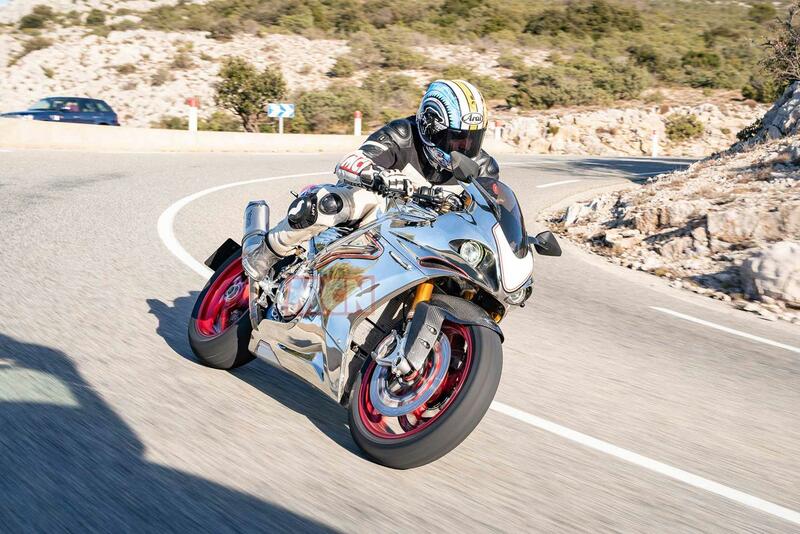 Norton V4RR: This shares much of the same features as the £44,000 SS, however enjoys a much lower price tag of £28,000. This is achieved through (in relative terms) slightly lower-spec components; such as OZ wheels, rather than carbon fibre BSTs. No owners have yet reviewed the NORTON V4 SS (2019-on).